Ronald L. Sims, Of Counsel - The Marks Law Firm, P.A. Ronald L. Sims, an Orlando native, joined The Marks Law Firm after many years operating his own firm as a sole practitioner. 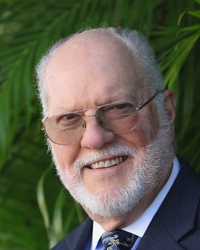 He began serving clients in Central Florida as an attorney in 1967. His legal career spans four decades during which he has worked in many facets of our system including working on legislative committees, representation before the Florida Supreme Court, the District Court of Appeal, Federal Court, and he has been a certified mediator for both family and civil matters, divorce mediator, family mediator and legal mediation for more than two decades. Today, Mr. Sims primarily works in Family Law Litigation and as a Mediator for civil and family law disputes for divorce mediation, family mediation, and legal mediation. He has held office in many local charities and organizations over the years, and brings a personal warmth to his practice that is a refreshing change for those going though the difficulties of a family law conflict. Mr. Sims graduated from the law school at the University of Florida in 1966 after being raised in Orlando and attending Emory University for his undergraduate degree.